Secretary-Kaye Abraham; and Treasurer-Carol Sacks. 1st Vice-Chair, Victor Mendolia, had another commitment and is not pictured. 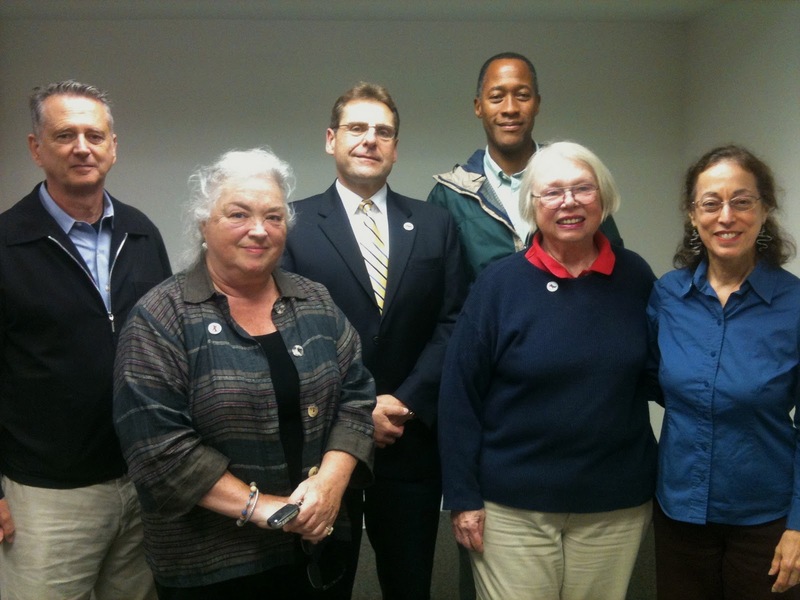 On Thursday September 15th, the Columbia County Democratic Committee elected new officers at its re-organizational meeting. Cyndy Hall of Claverack was elected Chair. Miss Hall has served as 1st Vice-Chair of the Columbia County Democratic Committee for the past 4 years. Elected 1st Vice Chair was Victor Mendolia, Chairman of the Hudson City Democratic Committee. Peter Bujanow of Kinderhook was elected 2nd Vice-Chair. Carol Sacks was elected Treasurer, a role she has held for the past 4 years, Kay Abraham of Germantown was elected Secretary of the Committee. Keith St. John of Kinderhook was appointed by the Executive Committee as Parlimentarian of the Columbia County Democratic Committee. Upon election as Chair, Cyndy Hall said "We are so proud of our newly elected team. They all have the skills and experience we need to move the Columbia County Democratic Party forward. Electing officers from Claverack, Hudson, Kinderhook and Copake, ensures that the urban, suburban and rural issues of Columbia County are all represented. We look forward to finding common ground on the serious issues which affect all Columbia County residents. Decreasing the burden on taxpayers, supporting existing business and attracting new business which will provide living-wage jobs will be our priorities. We need to hold the line on all County spending and begin thinking "out of the box" to resolve these issues for the people of Columbia County." Hall invited all Columbia County Democrats to the next County meeting which will be held on October 20 at SPACE 360 on Warren Street, Hudson at 7pm.